Inside: What are some things to do with heritage seeds? 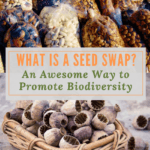 Improve the biodiversity in your yard by taking those seeds you bought or traded for at a seed swap and nurturing them in your garden. What can you do with heritage seeds – seed bombs, drying and saving, creating a culinary garden. How many will you try? What are some things to do with heritage seeds? The possibilities are endless. Planting a garden with heritage seeds you’ve traded for in a seed swap is a valuable way to improve the biodiversity in your neighborhood. 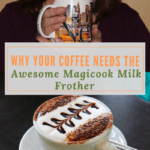 It is also a frugal way to grow your own delicious, nutritious organic vegetables which is much more cost friendly than buying less appealing but more expensive produce in the supermarket. Planting gardens is an educational experience for both you and kids. There is a lot of science to be learned in growing plants properly. Kids can learn this science right along with you as well as refining fine and gross motor skills. Becoming responsible and eco-caring citizens are also life-skills learned by tending a garden. There are so many things to do with heritage seeds. Apart from vegetable gardening, you can create specialty gardens. Love cut flowers? Then create a cut flower garden. Do you believe in supporting the pollinators in your community? 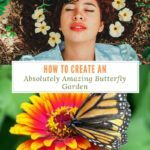 Plant a bee and butterfly garden. For those of you who love bird-watching, creating a bird-friendly garden will attract more avian visitors. Learning to compost or refining your skill is an essential part of creating any organic garden. Garden waste as well as household scraps are perfect additions to a compost pile. Locating your compost bin or pile near your garden creates an efficient system for adding the rich organic humus to your garden. 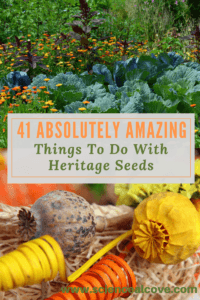 Once you have harvested from your first successful gardens using heritage seed you’ll want to save the seeds from your successful plants to plant again next season. Some plants contain seeds that are extremely easy to dry and save. A few of your mushy fruits and vegetables need a slightly more complex process for saving. Finally, its fun to get creative with your gardening ventures. Unique signs and plant markers are great crafts for yourself and your kids. Seed bombs make great kids crafts and are also unique gifts. Flowers and herbs from your garden can be dried and used to create unique wreaths for your home or for gifts. 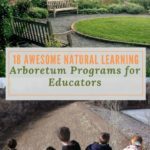 Both novice and seasoned gardeners will find lots of inspiration. Enjoy!